"AUTHORITY" IS THE "POWER TO RULE". JESUS RELEASED HIS AUTHORITY TO ALL BELIEVERS--TO PREACH THE GOSPEL IN HIS NAME--TO HEAL THE SICK IN HIS NAME--AND CAST OUT THE DEVIL IN HIS NAME. BUT, HE SPECIFICALLY COMMANDED THAT WE SHOULD NOT EXERCISE AUTHORITY ONE OVER ANOTHER, AMONGST OURSELVES. 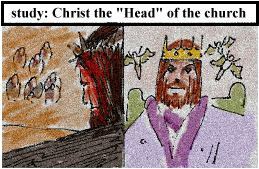 Christ the Head........x502.....The Bible states without reservation that Christ is the Head--with all power and authority--over the church. The word also tells us plainly that ministry is NOT authority over one another--but service--as demonstrated to us by Jesus Himself in His ministry. We cannot serve two masters--only Christ is the "head of the corner"--and we are not to call one another master--only Christ is our master. All this fits into the church operation in the Bible--but it does not fit into the operation of our church of man's tradition? Authority--watch out how you use it! !.....x132.......Jesus has all authority. He released His authority to all of us. He demonstrated how to use His authority in His ministry in the earth. And He specifically commanded us how NOT to use this authority. Do we follow Jesus' rules? Or do we have undefined rule in our churches?. "Authority"--what is it and who has it..........x136..........Study every use of the word authority in this Bible study. Find out for yourself, from the word of God, exactly who has authority, and what we are to do with it. The Most Ignored Teaching of Jesus............Jesus told His followers that they should not exercise authority one over. Have Christians truly realized the meaning of this? 0601...........Jesus' Example of Service To Us............In Philipians chapter 2, Paul describes the attitude that Jesus had in operating His ministry. Was it "authority over others'? No. It was meekness and humbleness and esteeming others greater than Himself. This is what ministry is, if we were to use the Bible to define it. Confusion about "authority".........x156........Jesus made the definitive statement in the Bible that ministry is NOT authority over other Christians. Ministry is always service--especially among ourselves. The authority of God is meant to rule over sin, sickness and Satan--and not to rule over one another. So How would it work?........x489.....If---we operated as if ministry were a gift in all of us--not a title of rulership or authority over others. If---we repented of our "dark ages" concepts of what "church" is supposed to be. If --we truly followed the example of the church in the Bible--fully and without compromise. What would it look like? The answer is glorious--simple--quick and effective. Read this Bible study to truly understand what is being said at this website. X04.11........"Submit to the Rule"--Please read the rest!!.......... "Submit to the rule" has been stressed in the church. This half-verse is found in Hebrews chapter 13, verse 17. I don't know about you, but half-verse is NOT the way I read the Bible! Have you ever read and studied all of Hebrews 13? It gives a clear description of the non-authoritarian church that the new covenant prescribes. Isn't it about time we read and lived up to ALL the Bible, instead of fitting it to what we already believe the "church" ought to be? Among You........X09........A very simple Bible study, which it seems very few have ever done! Look up the words "among you" in the new testament. Look at the bit of advice that Jesus gave, about how things ought to be "among us".....He only asked that we should treat each other as equals, and NOT exercise authority one over another. Why There Are Unsaved People In Church....X09....Have you ever had the experience of bringing someone to church who was not saved, and having them leave in the same condition? Do we realize the Bible gives a promise that there is a way for anyone who comes into our meetings to believe? Polarization in the Church........X09.........Since we are not following the new covenant plan for operating the church we create polarization of function. Since we are sure that believers need to see a repetitive example that tells them that "ministry" is something they are not in...we are truly not all serving God and He is the One who is short-changed. The Christian Pastor--High Priest?.............We believe in and teach the Jesus is our High Priest. But do we see that the position and function of the Christian pastor follows many of the Biblical aspects of a high priest? Who really has the authority? The WhoWhatWhy --of ministry and church government......x452.....Who what why where when and how. This bible study directly answers these questions about ministry--authority and the operational plan that the Bible gives us for the Christians church. We need to turn away from our traditions which hinder God--and embrace the bible operational plan for the church. Power/Authority Scriptures.......x277......Study authority from the Bible. Look at every use of the word in this study. You will find that Christians have been given authority over sin-sickness and Satan. But we are commanded by Jesus Himself 3 specific times NOT to use our authority one over another amongst ourselves. Proved and tested and tried..........x515.....In order to be a "minister" you must first be tested and proved and tried---right?? Well, exactly what are the "tests and proofs" and who has the right to test and prove an try you?? The "pastor"? If we used the tests in the Bible, probably about 80% of Christians would be qualified as ministry (yes--"5-fold" ministers! !--apostles, prophets, evangelists, teachers--and yes--pastors!!). The church would then become a place of function--on a common level--as true brothers and sisters. Bottom line: Christ within all of us would be able to carry on His purposes through all of us--in other words more people would get saved--healed--delivered--fed--and set free to minister to the Lord. In other words we would have an uncontained revival that would sweep the planet! Or--we can continue to sit in church every week, and wait for the glorious day when the pastor finally notices that we have a gift--a day which more than likely will never come. Pastoral Authority--something Like This?.......x470.....What is "pastoral authority"? Would you say that it is something like this: God has set some in the church who are in authority over the rest--and if you submit to their authority--it will benefit you? Jesus had a real problem with this idea in Luke 22: 25-29. Let the word of God change your heart. X04.10...........Giving to "Every man"--What a Concept! !..........The example of the new covenant church was to give to the needs of "every man". This makes perfect sense, considering their non-authoritarian structure, and the fact that ministry was a function that anyone could do at any time. Jesus ruled the church--not money! 2 Corinthians 9--all about giving in the NT.......x534........This area of scripture talks to the new covenant Christian church in the area of giving. Only one thing is out of place--NO TITHE!! Open your Bibles and your hearts and honestly study all that the Bible says about the tithe. Read it all--in the context that God set it in. The tithe was the amount Israel had to pay the high priest of Jerusalem, as an offering for sin. All the giving in the new covenant church was toward the poor--for the needs of any who ministered--not just to the "leadership". Open your Bibles and your hearts and honestly study all that the Bible says about the tithe..
Rule rule who's got the rule? ?........x293......We are taught to "submit to authority"--or to "submit to them that have the rule". This is a large, common basis of Church operation. The common roman Sunday worship format is based upon this concept--of submitting to the rule of the leadership. We as Christian spend a large part of our time "submitting to rule"--"sitting under" ministry. What we have done is to stress one side of the story--we know Hebrews 13:17--but do we know Luke 22:25-26?? Jesus defines rule--as NOT authority one over another. Jesus says that Christian ministry is NOT authority over other Christians. This is how He operated His ministry--and it is how the church in the Bible operated. Jesus operated under the direct authority of God the Father--the church in the bible operated under the direct authority of Christ--the Head of the church. Collosians says it All.........x496......The book of Collosians chapter 2 states some very interesting things when we read it carefully. It tells us all to walk out our ministry--and then it warns us that certain specific things could possibly beguile us. They are Sabbath worship and tithing! These specific old covenant law operations are stated as being the things which are worldly--the tradition of men--not God's high calling upon a church body--and could draw a church away from the fullness of what God intends--which is Christ the Head in complete authority over the body. Feeding the Poor which are Our Brothers........x492..............WE have a concept of giving within the church that usually goes something like this: We all give our money to the leadership--and God leads them to use it for His purposes. Is this Biblically correct? The simple answer is no--at least if we look at the new testament. In the old testament, there was the need for a Levitcal priesthood--a group of specially chosen ministers--who operated in the temple--with the purpose of taking the tithes (the 1/10th Holy offering of Israel) and making sin offering to God for Israel's sin. The new covenant specifically annuls the Levitcal priesthood (see Hebrews ch 5-10)--and the need for this type of offering. So, how did the new covenant church give? The plain answer was that they gave to the poor within the church. The offering and collection of money was for "the saints" NOT for the leadership. It was Spirit-lead--not lead by the law of the tithe--and it was direct to the needs of the poor within he church. In fact, Jesus says we will be judged on this specific point!. Moses seat NOT to be in the church.........x477......The Pharisees sat in the seat of Moses. This seat was the earthly representation of Christ's seat in the heavenlies--the seat at the right hand of God--the seat of all power and authority. Jesus unseated the Pharisees. By the old covenant laws, they had perfect right to have authority over Israel--but Jesus clearly brought a new rule to the new covenant. He was to be the ruler of the church. He was to be the Head of the church--to have all power and authority--and we are all members of His body in the earth--none exercising authority over another--there are to be no seats in the new covenenat church--no rulership but that of Christ. Operating the church on a Parable! !..........x471......We all know what a "pastor" is--right? We experience "pastoral ministry" every Sunday--over and over again--right? But, what is the basis for pastoral ministry from the Bible? What does the Bible say about "shepherds"? The fact is, that most references in the Bible about "sheperds" are actually parables--not doctrinal teaching. The few areas that mention sheperds, are in fact comparative teachings which relate spiritual lessons--NOT doctrinal teaching about church operation. X04.14..............The Life Is In The Blood..............Do you tithe? Wow! Where do you kill the goats and rams and bullocks? Do they really allow you to kill animals in your town? Oh, wait, if you really were going to tithe, you would need to do it in the temple in Jerusalem. Have they re-built it? I haven't heard about that! If you don't kill animals and offer grain--you're really not tithing. "Tithe" was the amount of the sin offering in the Bible. But we Christians don't do that--since Jesus made His offering--"once for all"---right? Submit--Over and Under.......x464......Many of the misconceptions we operate the Christian church by come from these three words---misinterpreted--taken out of context. Which lead many to say that "God has placed some people in the church in authority"----we are to submit to their authority--they are over us---and we are under them. Dare we study these words in their Bible context?. The One Man Who REALLY Understands the Bible.......x459.......Biblically, there is no such thing as "clergy and lay people". This concept comes to us from the church of the dark ages, when only the local priest could read. He was also the only person who was allowed to read the word of God--unfortunately he read it in Latin--a language which most of the people did not understand! Now, of course we do not follow these ideas today--YET--we still operate our Churches with this same idea. We still sit quietly "under the authority of the pastor"--the one person in the church who can teach doctrine and read the word!. SUBMIT--SUBMIT---SUBMIT!! !........x315.......What does this word really mean? does it mean to line up with military commands of leadership? And who exactly does the bible say we ought to submit to --is it the pastor? (answer--no!). Absolutely there is an annointing and gift of leadership within the church---but is that leadership due our complete and total submission? The submission of our will, (you can't talk back to it) our ministry (you can't serve God in any way that competes with it) and our money (you have to pay tithe for it's service)? Study all the uses of the word submit from the Bible--in context--and see what it really means to "submit". X04.02......Experience--Our Greatest Enemy!.........Here is a simple concept that we should all understand.....Ministry, is God, working through someone to serve the needs of others. Would you agree with this? Of course! Now, God is in all believers.....right? Therefore, ministry is for all believers. You may believe that I have made up my own doctrine by these conclusions--but they are absolutely in the Bible--IN CONTEXT. Where? Ephesians chapter 4--somebody read the BIBLE!! Pharisees in the Seat........x455......In the Bible we often read about the Pharisees and their dealing with Jesus. Have you ever been taught that the Pharisees were simply a "legalistic cult" within Israel? The Bible says rather that the Pharisees sat in "the seat of Moses". The Pharisees were in fact the delegated authority over Israel--they were the correct rulers of Israel--the people who were rightfully (according to the old covenant) "in authority" over Israel. Jesus' dealings with the Pharisees reveal the fact that He was undoing old covenant government--and bringing in a new plan--where He was the Head of the church, and all Christians were functioning members of His body--serving one another and NOT exercising authority one over another. Undefined Rule......x253.......When we know Hebrews 13:17 so very well--and have never heard of Luke 22:25-26--we have a dangerous situation within our churches: undefined rule. Since we don't seem to realize that Jesus defined "rule"--we simply define rule within the church by tradition and format which has been handed down to us from the dark ages. Jesus defined rule (Greek "hegeomai") as service to others, and specifically NOT authority over others. He spoke this word as a definitive, new covenant change. All uses of the word diatithemi........x101.......Jesus only uses this particular Greek word one time--in Luke chapter 22--the place where He makes the definitive statement that authority one over another is NOT what New Covenant church ministry is supposed to be. The concept of servant ministry is the central operating principle of the New Covenant..
Pastoral Authority--An Imbalance teaching.......x263........"Submit to authority"--Submit to them that "have the rule". This half-verse in the book of Hebrews, is, in fact, one of the major operational basis of the traditional Christian church. The problem is that we have no definition of "them that have the rule over". We teach this and operate our Churches out of balance when we do not Biblically define the Greek word "hegeomai". This one Greek word is translated as "have the rule over" in Hebrews 13:17--but this very same word is used in Luke 22:26--a very little known or taught verse, yet vitally important, since it is Jesus definition of "rule"!!. Jesus Did Not Have Altar Ministry......X109L...The book of Hebrews makes a point to tell us that Jesus was not born to the tribe of Levi--He was not a priest--an "altar-minister". So, why is it that "altar ministry" is so overwhelmingly prevalent in the church? Is it possible we are missing Jesus' ministry in our functioning together? 0602.......Platform.........Our traditional concept of "church " is for a large group of people working to build a platform for the ministry of one person. Think about it. Isn't this a goal we have in the operational plan of "church"? Do we know the Bible says something different? Pastoral Authority--it benefits me --right?? ?........x264......Within the church, God has "set the pastor"--the person who "has the rule" the person who "has authority" over the rest of us. If we submit to this authority, it will benefit us. If you have been taught these concepts--please open your Bible and read Luke 22:25-29--Matthew 20: 25-27--and Mark 10:42-45.
rule ---and "over you"........x292......A handful of times in the Bible, the King James translators (who lived in an age of absolute authority of Christians kings) attempt to give the impression that within the church, certain people are "over" others. If we study this word--it is NOT the Greek word "archon" which would mean a ruler--rather it is the Greek "proestemi" literally the person which is "most esteemed" within a group. Now, when we plug this into Jesus' definition of Christian ministry--we understand that it means the person who serves others. Christian ministry is the washing of feet--it is not rule by authority "over" others. serve-love-lay down your life........x299.......Jesus taught us to obey His commandments--which is described in one word--LOVE--to God and our neighbor. We are all meant to love God--and demonstrate this love by loving and serving others. Service is ministry--we are all meant to minister to others--it is the command of the Lord. The Scribes---Way under Authority.......x297.....Why does the Bible tell us that Jesus taught with authority--and the scribes did not? Jesus operated His ministry--He operated in His Godly authority in a perfect way--and that way was in total freedom. His authority came directly from God the Father. the scribes of Israel, in Jesus day and age, had put themselves under the authority of the high priests--as well as under the authority of Rome. when we put ourselves under man's authority, we cover ourselves from being in the diecrct authority of God. When we put ourselves under man's authority, we loose our own authority in God, just like the scribes. The "Officers" of the church in 1 Timothy..........x338......Most Churches operate by a system of church officers. A hierarchy of authority--a chain of command. this entire concept comes to us from church tradition outside of the Bible. But, doesn't the Bible say that there are "offices of bishops and deacons within the church? We must look carefully at this. The word which is translated as "office" in 1 Timothy 3 is simply not there! It is, in fact, the word "diakonos" which means servant--(the word which is most often translated as "minister"). These are instruction for servants--NOT the setting up of a hierarchy of authority or chain of command!!!. READ THIS CHART--This chart gives a "visual description" of the concept of the Levitical priesthood within the Christian church. It illustrates many of the old covenant ideas which have been clearly and specifically done away with (please read Hebrews chapter 7-10!) in the new covenant. Leadership Is Not Biblical If it Does Not release Ministry.........x354........Jesus defined leadership as service to all--and He brought the free gift of ministry to all those who believed in Him. Jesus released all His authority to groups of people whom He called apostles--He released thousands--The clear example of Biblical leadership is to release others to freely serve God. We have no Biblical right to "hold under authority". What God Could Have Said--But He didn't.........x371......When God wrote the Bible, and He was going to relate the new covenant gifts of ministry, He could have easily related them to the Old Covenant Levitical priesthood. But He didn't. Instead He related the New ministry gifts to psalm 68:18--one of the most little known or little studied verse in the Bible--which says simply and plainly that these gifts are given to all of us, not just to a delegated, designated, anointed, appointed, group, who has authority over the rest of the church. Pastors instead of Apostles....x373.......We have many many pastors in Christianity today.we operate the church by pastoral authority--something which cannot be found in the Bible--and is Biblically defended by the vaguest of scriptures. On the other hand, the word of God is filled with apostolic ministry. Our sad situation is that we have a misdefined concept of pastoral ministry, and totally ignore apostleship--one of Christ's greatest gifts! But Wait!---You Need a "covering".......x377......Many teach that ministry needs a "covering". The idea being that every minister needs someone who is "in authority" over them in some way. This concept comes from an obscure, out of context verse in the Old Testament and has absolutely no example in New covenant church operation at all. What is very interesting is to research the word "covering" in the Bible. We then find that there is someone who has the ministry of covering---Lucifer!!. X0603..........A Point About Ownership..........In the new testament the Bible makes a point to say that the church, the first Christians, did not consider the things they owned to be their own. How is it then, that we hear so many people say "God gave the church to the pastor"? If you own the church building equally with everyone else, then why can't you do your ministry in it too? WHEN was the Bible translated?........x425.......Whether we realize it or not, most of what we operate our churches by comes from the terms and translations used in the King James bible. This Bible is a very accurate translation of the word of God--however it was written in an era of Christian kings who had absolute authority and control over their submissive subjects. So much of this language is used toady to enforce ideas about authority and ministry which simply are not in he Bible, if we translate it properly without the prejudice and outright error of a bygone time. Pastor--Priest--Roman system--all based on the Old Covenant......x509........Hundreds of years ago, Roman emperors created the system and format for the Christian church--based upon the notion that they had "declared" everyone a Christian--and now were simply interested in teaching and controlling the people who were "under their authority". They used out-of-context verses from the old covenant to do this---here's how. Unity Based On Commonness............x436........The church described in the Bible had a unity based on commonness. they operated the church on a common level--specifically, ministry was NOT authority one over another. they had "one accord". this is not our idea of uniformity (file into church--file out--keep quiet)--this is described in the Bible as a rushing wave of God's power--in all the people. Does your church operate in this way?. Covering the Leadership of the Holy spirit--(Satan's big Plan)..........x437........Lucifer had the ministry of covering. The Bible sets forth the rules on how to operate as the church--they allow God the Holy Spirit to speak through everyone. The bible shows us that this is how His church would operate and be given direction--God speaking through anyone--NOT just through leadership. But the ministry of the Spirit is covered by our misconception of authority and operation in the church. Ordaining people--for the leaders?.......x522........The area of scripture we study here (Acts 6:1-7) is one that has been interpreted to the max. It is used by scholars, major denominations, Christian groups, Satanic cults--you name it--as the supposed "Bible example" that the leadership "has the authority" to appoint people to do menial jobs "below" them. This was the excuse for emperors and kings and lords and nobles to have peasants who serve them. It's almost gone from our churches today--at least in most peoples' attitudes--yet it remains entrenched in our operational ideas for the church. X04.19.............Only The Pastor Can Do That---right??............ "Teaching"--"doctrine" in the church. It must be very Biblical that only the pastor is allowed to do this--right? It certainly is a rather strictly adhered to rule within the church--right? Isn't it the same guy every Sunday who does all the teaching? This MUST be in the Bible somewhere--right? Guess what--it is not! Did you know the Bible says that anyone may teach? Instead of Sundays--.....x526.......It comes as a shock to most Christians to realize that the church in the Bible had no strict, "holy day of obligation" (all must attend) on Sundays. The fact is that they met every day, in small groups--on a constant ongoing basis--and thus were more effective to carry on witnessing--healing--deliverance--feeding the poor--and release out toward the world. Church tradition turns churches inward--(needlessly!) --when the Bible example is to operate most of our ministry outwards toward the world--after all they are the ones who need salvation--right??. 1Peter 2--Jesus Shepherd/Bishop..........x536...........Often we have seen the very last verse of this chapter of the Bible--taken out of context. It is one of the very few places in the Bible which use the words "shepherd" (pastor---Greek: "poimen") and "bishop". This last verse is looked at--and immediately defined by experience and tradition--"You see--pastor and bishop are in the Bible--they're the rulers of the church--see it's Biblical--!" What if we read the entire chapter? What if we looked at what the Lord is speaking about--instead of our tradition and experience? If we did, we would see that the pastoral anointing--(as well as that of a bishop)--is the gift of releasing others to ministry--the act of setting others free to serve God--The exact opposite of our common tradition of "pastoral church authority"--!! Jesus is the Only Rightful ruler!.......x538.......Jesus is the King of kings and the Lord of lords--and we all say "amen" to that of course. but have you ever read the rest of that verse in the Bible? It says that Jesus is also, the "only Potentate". What does this mean? It means that "Christ is the Head of the church". It means that He is the Head of the body. It means that He is the only One who has God-given right to be an "official ruler" in Christianity. a "potentate" according to the Greek definition, is someone who is an official ruler--and Jesus is described as the ONLY potentate. We as individuals, and we as groups should only have one Ruler--one Head--Jesus Christ our LORD!! Galatians chapter 1:1-15 New Living Bible........x56.............Paul makes a big point at the beginning of Galatians, relating the fact that he did not receive his ministry from other people--specifically NOT from the elders or other apostles--he did not receive his ministry by submitting to authority!.. Them that have the rule--submit--or imitate?.......x314........One of the greatest problems (which specifically limits ministry from operating through the entire body of Christ) we have in the church is undefined rule. the operation of our Churches is based to some large extent on a half-verse in the bible which seems to say that there is someone in the church who has "rule". We define "rule" as authority over others--as the world does. If we study this word Biblically, and in the context God set it in, we will find that "rule" is service--and we are all told to imitate this principle amongst ourselves. No one is ever specified in the Bible as "having the rule--that's because it is Christ who is supposed to have all authority and be the Head of the church!!. Jesus requirement--NOT money--ministry!.....x524......Jesus made a requirement to His followers (one that is soften overlooked by our traditional way of reading the Bible!) --that was to serve God--to minister--to walk out a priesthood in the earth. We in our tradition of church have a requirement---MONEY. Isn't this true? Can you "get ahead" in your church without giving money to the leaders? Can you attend your church without giving "properly"--as tradition ordains? Jesus' system will get more people saved--if only we would adopt it in place of what we are so sure is "RIGHT"!!. Conviction........x528......Unnecessary conviction---it's entrenched in our church tradition--since we allow the old covenant in the new covenant church--in specific ways that we are not supposed to. Demanding Tribute..........x529...........Jesus paid tribute to the ruling authorities in His day--and this is a true Biblical command--we all ought to pay our taxes--in the world. Yet at the same time, Jesus makes the statement that we shouldn't operate by the same rules as the world with regard to money. We are free when we do NOT pay tribute amongst ourselves. When we demand tithe--we absolutely do operate in the wrong kingdom. Under.......x356........Christians are experts at understanding what it means to be "under authority". We have been taught it is somehow vital to be "set under authority" in our church system. In the Bible there is only one person who says he is "set under authority"--the Roman centurion. He is describing the Roman form of government--the kingdom of the Gentiles--which as Jesus says, is all about one person exercising authority over the rest---NOT to be among ourselves!! 1Peter 5--who's "subject" to who?.....x107.......The rules of church authority according to the Bible are that we all cooperate with one another on a common level. In the Bible church submission was a 2-way street--not 1-way authority as in worldly government.. They had all things--Common.......x119.........The church of the Bible operated from a standpoint of commonness and brotherhood amongst themselves--just as Jesus had commanded and demonstrated. In our church system of today do we truly operate in this way? Heb 13:17--Obey Rule.........x70...........This half-verse operates the church. This study puts it into context in a way you are not likely to hear about in church. authorities and powers--only found in the world.....x133.......The bible speaks on a few occasions about the operation of certain "authorities and powers". The Bible clearly is speaking about worldly government--yet most Christian churches operate by these concept of authority--which the whole word of God tells us is not to be in the church. Misunderstanding Hebrews 13:17.......x137......When we misunderstand Hebrews 13:17, we are lead to operate our churches by undefined rule--the rule which is powerfully in the tradition of the church. the format and the Pharisees........x180........The Pharisees were the righteous authority of God in Israel, yet they had become bound by tradition, and specifcally Jesus said that they shut up the kingdom of God from the people--which means they stood against ministry in anyone but themselves. X0617..........Jesus Washes Feet........In John chapter 13, Jesus washes the apostles feet. Why? Do we ever truly study this, and make it an example? Do we understand the spirit behind this act? Flock of Ministers#2.........x178......The word flock has been taken out of context, by church generations from the dark ages (specifically the Roman church) and used to lead us to believe that the church consists of a shepherd, who is, has, and does, all the ministry, and a "flock" of people who are functionless in God (other than to serve the needs of leadership) and have no ministry. The bible truth is that the flock is a group of ministers. X0628...............The Pastor: A Good Man, Just a Very Bad Wizard............Pastors are good people, they are just the folks who believe the most in the system. Colossians 2--Jesus spoiled the authority........x498............This area of scripture says that Jesus openly spoiled a certain authority. We have often been taught that this is referring to Satan--but if we read this in context--and in context with the rest of scripture--we see that the authority that was spoiled openly by Jesus was in fact the old covenant authority of the Pharisees and priests. Jesus is to be the Head of the church--not a group of tithe-collecting priests or Pharisees who rule with authority over others!. Not Exercising authority over one another--a NT Change from OT.........x135.......In the Old Covenant, there were only some people who operated under God's authority--and therefore had authority over the rest of Israel. But Jesus clearly changed this in the New Covenant. The question is this: do we operate the church on Old Covenant or New Covenant ministry principles?. Roman Emperor Says........x494.........1700 years ago, a Roman emperor--who considered himself to be the head of the church--made it illegal to be anything but a Christian. He literally declared everyone in the world (at least the then know world which Rome ruled) to be a Christian--and made it illegal not to be in church on Sundays. This changed the operational plan of the church. There was no more need to operate in the apostolic method--reaching out to he lost and needy. Rather, the church was held under the authority of the tithe-collecting priest--and babies were baptized into the church so that everyone was now a Christian!. 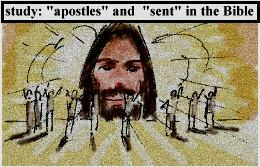 "we have received....apostleship".........x490.......In his salutation to the Roman church, Paul makes the direct and simple statement that we have received grace and apostleship. We understand what grace is--the free gift of salvation through Jesus offering at the cross and His resurrection from the dead--our free gift of eternal life by faith in Him. But do we realize that we all have also received apostleship? Paul here is stating that the church is meant to operate apostolically--that we are all to be set at liberty to freely serve God--and NOT be under the authority of one another. Jesus Spoke destruction to the Temple--Why do we still rebuild it?........x484.......Jesus spoke against the temple--He spoke against the ruling Pharisees--and the new covenant clearly says that the levitcal priesthood is not necessary since Christ is our high priest and we are all now made priests directly unto God. Yet, we continue to get operational plans for the church from the book of Haggai--we search the Bible to find what we want it to say!! Ot to NT Changes WE ignore........x446......Darkness comes and covers us when we have not received the word from God. We are subtly turned back to old covenant operational systems (the ministration of death!) --which are clearly changed in the new covenant. Here is a short.list of 5 areas which we ignore by the traditional operational plan of the "church"--which is pastoral authority. Nice People--Bad System.........x475..........What we are saying through this website is simply this: we have within the church a worldly system--wrong ideas given to us by tradition--ideas which occupy our time together, and misdirect our efforts for God. These things stop us from being the glorious church of the Bible. But we cannot reiterate this enough--the people who are "in ministry" are the the very best of us. They are nearly always the most zealous and godly people--WE love all our brothers and sisters in Christ--it is just that there are a lot of nice people in a wrong system. What Have I got Against Tithing?......x454.......Answer: it limits ministry. When we operate the church by the tithe, we are singling out the leadership as the "true ministry"--and ignoring and subverting the ministry which is meant to flow through all the church. Therefore we limit God--we ignore the poor which are among us--and the end result is that people go to hell, since we are not all working together to get them saved, the way we should be! Why The storehouse?........x450...........If we take the Bible out of context--we can make it say whatever we want it to say. Have you ever been taught that "if you don't tithe you rob God"--or that "you need to bring your tithe into the church--which is your local storehouse"? Do you dare to read these verses in context from the book of Malachi? the full discernment of Jesus........x25.......The story of the demoniac of the Gadarenes should teach us some important lessons. 1. Jesus, sees a demon possessed person--when we see someone in this state, we congratulate ourselves for our "discernment" and run the other way! 2. Jesus casts out the devil--some of the more adventuresome of us might leap to this level of faith--but--3. Jesus releases the formerly demon possessed man to serve God fully--He sees a minister--an anointing inside of the worse person--Do we do this? Do any of our church systems allow for the free and immediate release of people to ministry? Jesus did it--why not us? Ordain elders.......x260.........The Bible tells us in 2 places to "ordain elders". When we read this through or church experience, it seems to be saying to us that we ought to appoint some people to be in authority over the church--right? Why dont' we read it through the experience of the writers of the Bible. They were speaking about people who were older, who were organizers of home church meetings. A simple, yet incredibly effective method for growing the church--and something which we toss aside in favor of our tradition of a big church building operated by "professional" ministers. X0615...........Handwriting.........The book of Collosians states that Jesus, in His work on the cross, eliminated the "handwriting" that was against us. The word "handwriting" in the Greek means "money debt". In other words, Christians do not "owe" God money. X0606............So, Who Gets the Glory.........People love to say" glory to God" but are we truly glorifying Him in the way we meet together? Look at the fruit. The Pharisees under roman rule.......x275.........The Pharisees sat in the seat of Moses. The were the rightful governmental rulers of Israel in Jesus' time. But they had put themselves under the authority of Rome. In so doing they lost their authority from God. Along comes this carpenter from Nazareth--not born a Levite--not a Pharisee--not a scribe or an elder. Rebellious to Roman authority--(He tells his people not to operate by the system of the kings of the Gentiles which is Roman rule). He functions fully under the authority of God the Father--and does miracle after miracle. He demonstrates God's authority over sin and sickness--and the devil--by NOT putting Himself under the authority of the Pharisees--or Rome! What a Savior we have! Ransom--Matthew 20.......x283..........In this area of the Bible, Jesus describes new covenant ministry as laying down one's life--as giving oneself as a "ransom". the word ransom means in the Greek to liberate--to set others free by your actions. This then is the description of Christian ministry--one of serving others--laying down ones' life--specifically NOT authority over others--rather it is meant to be the act of setting others at liberty--releasing others to freely serve God. The Romans Built buildings in order to rule.......x291........The Roman plan of conquering was to conquer a people--and build a structure which represented their rulership over those they had conquered. they then taxed the people to death (if you couldn't pay a Roman tax collector--you might get killed!) and set up a ruler who "owned" his subjects at the local level within the vast Roman hierarchy. This exact system became the operational plan for the Christian church for hundreds of years--and we still follow it's call to this day!. Shepherding is something people do--not a job title........x300..........our misconceptions about pastoral authority come from out-of-context, half-scriptures which we fit into our church experience. Why not read the Bible by the experience of the writers--and study what is really meant by the pastoral anointing. the One Way Pulpit.......x320........Do you have a pulpit in your church? Does it look like a Roman column? (hint-hint!!). Tradition, which simply is not to be found in the Bible, says that one person within the church has the right to teach all the doctrine, and without questioning in any way. Why do we spend so much of our operational time together "under" the pulpit?. The Pastor's Kid's Shoes.......X109B......Why is it that the poorest person in the church paid for the pastor's kid's expesive shoes? It's not anyone's fault--it's wicked, corrupt tradition that if we are unaware of, we will follow. Does Christian "Ministry" Operate By The Rules of Show Business?.....X109E....If someone wants to get into show business they need to get a break and they need to have a certain type of talent that pleases lot's of people. Ask a minister. Most of them will tell you that they got into ministry by the same rules. Them that are "over You"........x340.........On a handful of occasions in the Bible, the wording of the King James Bible uses the terms "them that are over you" --or "them that have the rule over you". This is the experience of the King James translators speaking--in a day and age when Christian kings were the head of the church and had absolute authority over their subjects. Let's simply take this greek word "hegeomai" and look at Jesus' definition--as found in Luke 22:25-26. We will find that a leader is specifically NOT someone who is to exercise authority over the others. The Tithe Is Holy Unto The Lord.........x347............These words are often taken out of context, and taught to mean that 1/10th of your income is Holy unto God. If we dare to read these verses in context, we will see that Israel was told that 1/10th of their herd and their crop was considered "Holy" by God, and needed to be offered to forgive their sin. Next read about the better offering for sin which we have as New Covenant believers. The tithe limits our giving. in the New covenant there was no law of tithing. Giving was Spirit-lead--and to the poor within the church so that none had lack--what an easy, direct and blessing-filled system this would be--if only we would be obedient to teach it in our churches! X0618..........Jesus' Leadership............Just a small thought, but Jesus said that part of His leadership was to NOT exercise authority over others. The Bible says that our attitude ought to be like Jesus--so---is it?? X0620........Levitical Proportions--why are they in the new covenant church?..........Do you know what the Levitical proportion is? In the old covenant, only a few people could minister. The new covenant redefines ministry, so, why do so many churches operate by the Levitical proportion? X0627...........A Problem With The Pastor Being the Levitical Priest..........The function of a Christian pastor is, Biblically based on the Levitical priesthood of the old covenant. The problem is that in the old covenant, the priests had a set of rules to follow--limits to their authority. The Christian pastor has no real set of rules to follow. Undefined rule--the world doesn't want it Why is it in the church?.........x355.........Every denomination, and individual church is man's attempt to form a Godly government without God. We have an incredibly dangerous situation in the Christian church, and are divided into pieces, simply because we accept undefined rule within the church. Why can't we use Jesus definition of "them that have the rule"? Who Put In the rules?....x376........It is amazing how we operate our concept of church by out of context teachings which are handed to us by tradition. "God is a God of order." --this is often quoted to enforce the ideas of pastoral authority--of formatted church service--in which only the leadership can pray or operate or be heard within the church. Do you dare to read this verse in it's Biblical context and find out what kind of "order" God really desires and commands within the church? Jesus--His Pastoral Ministry.....x39...........Do we ever consider Jesus ministry as the example of pastoral ministry? He said that he was the only true and right shepherd (pastor). do we ever consider His example of teaching with the purpose of release as the correct example of pastoral ministry? Or have we tainted pastoral ministry with a worldly system based upon money? Authority By Implication..........x401.............Jesus taught definitively that within the church, we are not to exercise authority one over another--that His definition of ministry was NOT authority over other Christians. His teaching on authority is rarely ever dealt with--rather it is much more common to teach authority by supposed Biblical example--by implying that a situation or example from the Bible implies that it is necessary for leadership to exercise authority in the church. MY Kingdom...........x407............Jesus' kingdom was one of servanthood, not rulership by authority. He said this in many ways throughout he Bible, and invited anyone to enter into His kingdom and serve the will of God. Dispensationalism That We all Follow.........x409.............The Spirit-filled church prides itself on believing that it does not believe in dispensationalism. the truth is that most churches operate with the concept that the apostolic dispensation ended, and God want us to operate the church by pastoral ministry (something which is unclear and undefined in the Bible!). We don't want the apostolic revival which the New Testament Bible describes--we want what we know--pastoral authority! Doctrinal Corruption Gone--But Functional Corruption Still With Us! !.....x420...........The reformation of the church 500 year ago began to rid the church of doctrinal corruption (thank God). However, do we understand that the priests of the Roman church simply became the pastors of the reformed Churches--and that church operation remained and still remains almost exactly the same as in the Dark ages? Your Cross = Your Ministry--and any man can have it!........x421.........Jesus explained authority and rule many times in His ministry--unfortunately we in the organized church largely ignore His concepts. Are we like Peter whom Jesus calls Satan when he wants Jesus to operate with worldly authority? Are we like the rich man who obeys the commmandments by law--but does not want to give his money to the poor and give up His rule or authority? Problem: Releasing Ministry.......x428..........We have a real problem with releasing one another to ministry within the Christian church. Many of these reasons come from age-old misinterpretations of the Bible which give us misconceptions about ministry and authority amongst ourselves. Links--ministry Limited To Leadership........x430............Many churches teach that only the "some" of leadership have ministry--and that ministry is authority over the rest of the church, and that this ministry is what operates the church. The New Testament Bible speaks directly against all of these linking concepts. The Real Principalities and Powers........x61...............Church tradition strongly emphasizes rulership and authority over the people. This tradition holds masses of Christians from being all that God created them to be---study history! Sheep are the unsaved--sometimes..........x65................does your church function by the concept of shepherd and sheep? One of the problems with this concept is that according to the Bible, "sheep" are the unsaved--Christians are sons and daughters and bondservants of our Lord. authority to His servants (Mark 13).........x8............Jesus is described as a man who has taken a journey and given His authority to His servants--to every man his work. Authority is for all servants--not just for some--and His work is ministry--and it is to every man. We obey the lords supper in 1 cor--but what about the rest?........x89..........In 1Corinthians the Bible describes how we ought to celebrate the Lord's supper--and we often follow this diligently. But when we read on in the next chapters we see that we are not so careful to follow the "commands of the Lord" that are presented---but rather we have an out-of-context viewpoint stressed in most churches. Priests and Levites--the bad guys........x516...........Ever read the story of the good Samaritan? Sure you have. And certainly you caught the important lesson on how we ought to always help others who are in trouble. But did you ever study who the "bad guys" are in the story? Jesus was sending a message to Israel 2,000 years ago when He named the priests and Levites as people who only want to serve God in a nice clean temple, and don't want to do the "dirty work" that Godly ministry really is. Well, we don't have Levitical priests in our churches today---or do we?? Power--but not to take money!.......x517........Take a look at this area of scripture, one which is often taught out of full context--which might lead us to believe that the"ministers" of the church have God's right to collect money for their "ministry". Our first problem is that we don't have the right definition of what ministry is--we say it is rulership with authority over others--rather than a gift which is given unto every one of us. What the Bible says is that it is alright for money to be given to someone's ministry (which could be anyone--NOT just the "official" people!!) --but it is much better if they work for themselves and pay their own way. Ministry is supposed to be free--and freely released and encouraged in all of us. Doesn't it just make sense that we could accomplish more for God if we did it this way?? X0621..........Ministers always impress us............The idea of a "minister" is someone who impresses us, who has a certain power from God. Is authority what ministry is supposed to be about? X0622........Not just any peace.....Ephesians 2 says that Jesus died to annul the old covenant way of doing things, specifically the old covenant ministry which was authoritarian, and limited. In the new covenant, everyone is a minister. Jesus Teaching on money--and ministry.......x525......In Matthew chapter 6, Jesus delivers a simple teaching on money. He tells us plainly that we cannot serve God and money. These two things are at odds--they are in direct opposition to one another. If we minister and serve others freely, we will be avoiding the pitfall that the Lord is describing. It's the description of simple and pure ministry (probably all of us have done it at one time or another--it's great and completely effective!!!). But, where does our idea of church organization and operation come into this picture? Have You Ever Heard of Diotrephes?.......x537.......Have you ever wondered why certain information is contained in the Bible? Things like salutations--and closings--and comments about specific people (whom you have never really heard of--people who are not "famous" in the Bible)? Everything is in the Bible for a reason--every word is precious and important. You have probably never heard of Diotrephes--right? Well, he was someone who wanted to have authority over the rest of the people in a church--who thought he had the right to kick people out of the church. Diotrephes is in the Bible for a reason--not often taught--we should not exercise authority one over another amongst ourselves-! US founding Fathers--Good Christians........x181....The USA was founded in rebellion to Christian authority. The founding fathers of our country were good Bible reading Christians and understood that Jesus makes us to be free. They set up a constitution which granted separation of church and state--and a system of checks and balances--things which are very Biblically correct. Do we Still worship the Saints?.........x168.....The worship of saints was a very early disobedience in church history--has it left ramifications which we still suffer from today with regard to ministry and authority.